Happy Tuesday! Thank you for reading my blog. 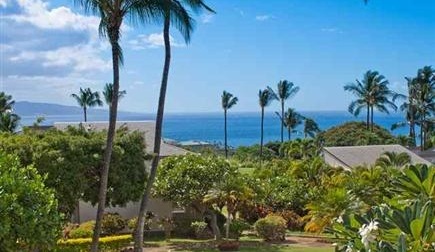 Today I would like to feature my Wailea Ekolu listing. This unit has direct great ocean views with a cozy & comfortable floor plan. Enjoy ocean views from your living room, kitchen, master bedroom and lanai. An upstairs corner 2 bedroom, 2 bath unit with extra windows and high cathedral ceilings. This can accommodate the family for the holidays and your vacation retreat! Offered at $859,000. If you are looking to buy or sell something here on Maui or would like more information about my springs deals & Maui Real Estate please do not hesitate to contact me at 808-276-2004 or visit my website www.SoldOnMaui.Net to search the Maui MLS & check out New Listings and much more. Or e-mail me at trendi@maui.net and tell me what you’re looking for!